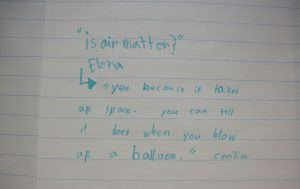 In 1N class students are encouraged to record their deep questions and powerful ideas to make their thinking visible. Our door is covered with chart paper as an area for students to write on. Displaying questions or quotes from students on the door that opens into the hallway allows for passersby to notice it easily. Other people do not often get the chance to come into our classroom to see what is happening. Our school community can get a quick snapshot of what is being discussed in class by reading our door. This can serve as a discussion point to open a new discussion for others or to continue the discussion from class for deeper understanding. 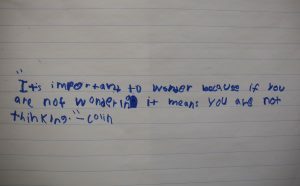 Students are proud to record their ideas and showcase them to others. 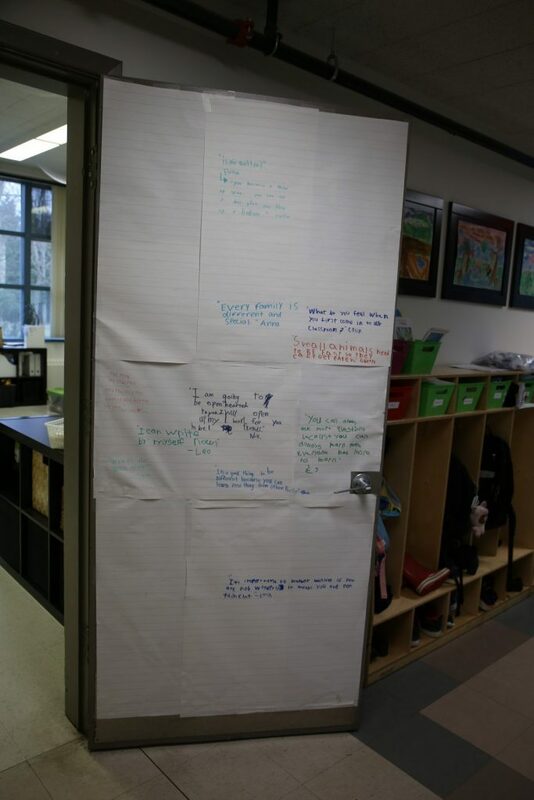 Having ideas shared on a large area, such as our door, allows us to keep them displayed for long periods of time and does not need to be changed as we transition topics in class. 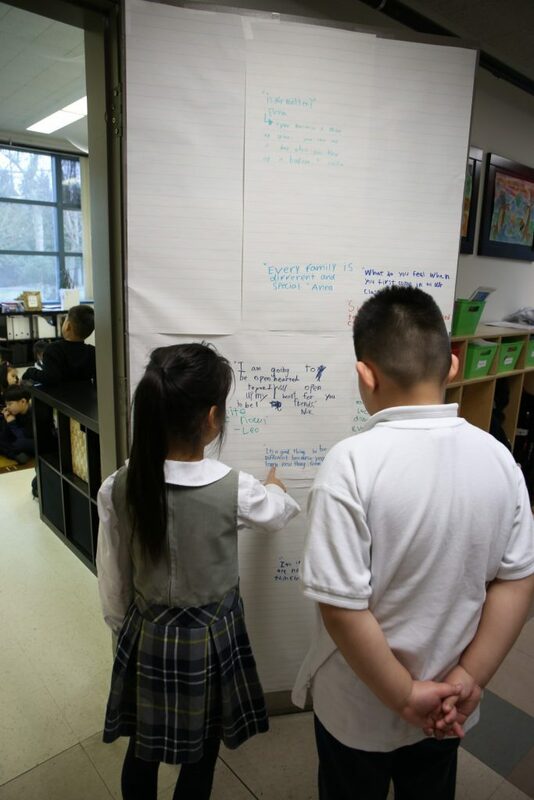 While it is displayed, it is easy to refer to at later points in time as students think of new ideas, make connections, or find answers to their questions naturally. 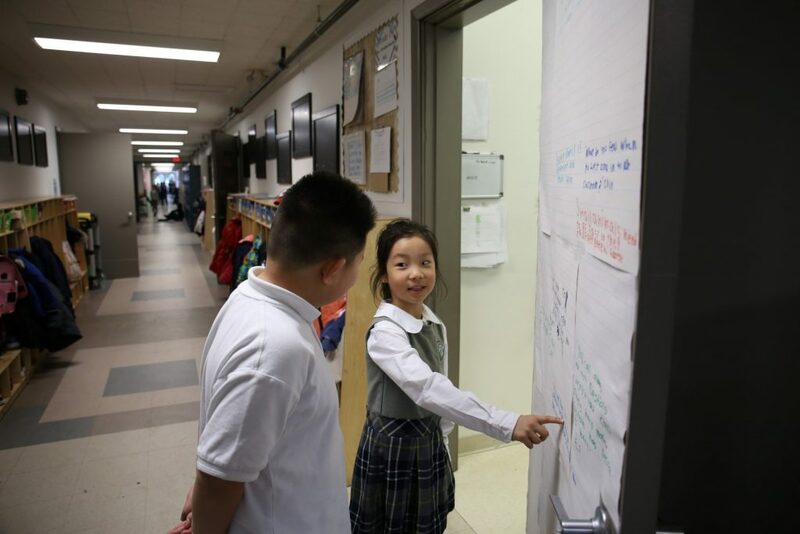 Students can respond to the quotes recorded on the door and build upon their peers’ ideas. 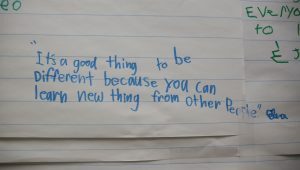 As they refer to previous ideas and add new ones to the same place they are able to watch their thinking transform.